Every year, Enactus teams from universities all over the UK come together in London to present their newest ideas for self-sustainable business and volunteer projects. Each team presents the work they've accomplished throughout the year in front of a panel of judges made up of Enactus Sponsors like KPMG, Tesco, AIG, EY, Unilever etc. It is a great opportunity to see firsthand multiple different projects started by students, add to your CV and meet prospective employers at a dedicated Careers Fair at the event. We currently have 2-3 places left on our team for presenters and the deadline for registration is 19th February. Taking place this February 28 in London, the Summit will bring together more than 350 commissioners and providers from across the public, private and social sectors. Calling all Female Entrepreneurs! 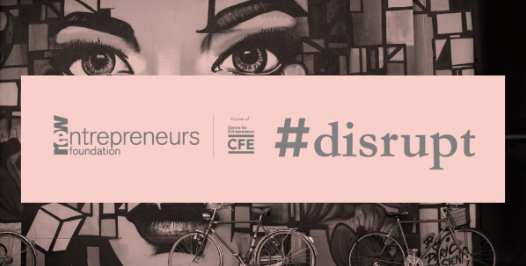 Disrupt the status quo with The New Entrepreneurs Foundation. NEF develops the entrepreneurial leaders of the future and are passionate about supporting female entrepreneurs. Here's your chance to meet and learn from some great female entrepreneurs! oin hundreds of 'Creators, Connectors and Captains' at NACUE's 9th annual Student Enterprise Conference at Aston University in Birmingham on 17th-18th February 2018. We have a special discounted ticket price for any Enactus member, tickets will be reduced to just £12.50 for the whole weekend (usually £25). Drop us a message on Facebook for the code to your special discount! Diageo would like to invite ALL Enactus students to attend one of their Daily Graduate Live online chats! They're online every week day between 3pm and 4pm (UK time) to answer general questions about the recruitment process. They’ll do their best to help with video interview queries and anything you’d like to know about timeframes. They can’t answer questions about the content of their assessments days, but if you’re successful, they’ll be in touch with everything you need to know. Yvonne would be happy to answer any questions about Diageo and your application. If you would like to get in touch with Yvonne, contact us!